Don’t let the cold winter weather take your mind off of your lawn and landscape. The warm spring temperatures will be here before you know it and it is never too early to start thinking about what your lawn will be needing. The beautiful summer lawn starts in early spring and that’s why you should not put off caring for your lawn. Let’s break down the different areas that need attention. Fertilization in the spring is vital. After a long winter with no growth, the grass will be craving nutrients to help its quick growth stage. 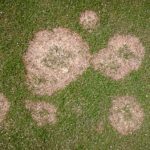 Not giving the lawn these nutrients will cause your lawn to take more time to bounce back and therefore delay getting that golf course green lawn this season. The next thing to take care of is weed control. There are weed killers that are called ‘pre-emergent’ weed killers that stop weeds from germinating. Certain weeds that show themselves in the spring can be a real nuisance and if it has been a mild winter then the weeds that show themselves in the fall will cause problems in the spring. As soon as the temperatures start to rise, the ticks and mosquitoes will be showing their faces. The earlier you start spraying against them, the more enjoyable your summer days around the pool will be. The best way to deal with ticks and mosquitoes is a regular tick control program that will protect your family the entire summer. If the spraying is not on a regular basis, the bugs will come out. There is no such thing as spraying twice the whole season. Watering and mowing cause the tick spraying to be less effective over time. 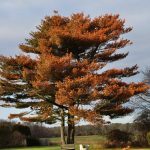 Sterling tree offers comprehensive programs for lawn and tree care which consist of fertilization, deep root feeding, aeration, tick control and general landscape maintenance. Call today to have a Board Certified Master Arborist inspect your property.